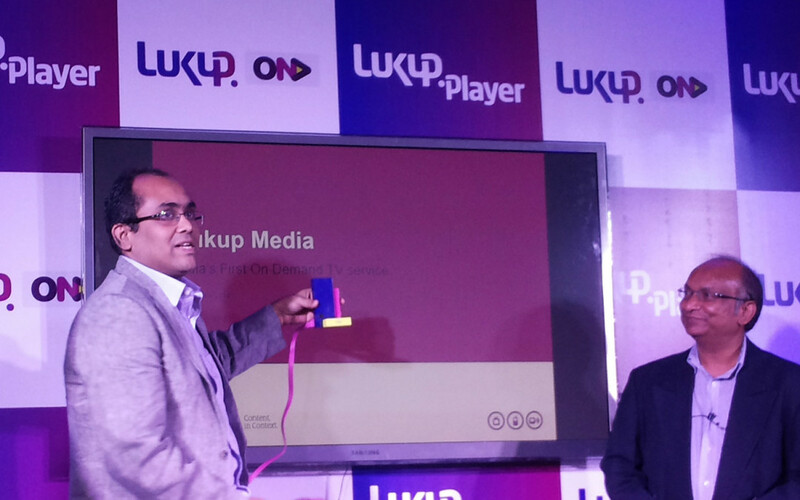 Bangalore/India, October 15, 2014- Lukup Media today announced the launch of India’s first on demand TV service powered by a revolutionary connected device- the Lukup Player. Poised to offer a first-of-its kind experience to consumers, the service aims to transform conventional TV viewing for Indian audiences. The Lukup TV service aims to deliver a large number of TV channels in addition to those available on cable and DTH platforms. These additional TV channels will have content from multiple genres including movies, shows, lifestyle and sports. Using the Lukup Player, users will also be able to stream content on more than one screen or device – TV screens, tablets, mobile phones, wireless speakers – at any one time. The service includes unlimited recording capacity starting from 500 GB which can be upgraded without limit First 500Gb is free and additional space will be offered based on request and charged accordingly. Users can also download content on their mobile devices which they can access offline. With no minimum monthly subscription charges, users can pay per view. Search for content to view at any time of your convenience. Experience our exclusive On Demand TV channels, interactive contentand audio channels. Stream content on multiple devices and screens with a single connection. Record your favourite content with unlimited storage on your cloud drive. Take your entertainment with you. With our apps for mobile phones and tablets, get access to your content on the go. Personalize your content.Create your profile, create channels, import videos, photos and other media into them. The Lukup TV service is available in Bangalore now and will be available across India in phases. The Lukup Player will be online and in retail stores from October, 2014.